To see if Clifford Thomas Pereira is accepting new patients, or for assistance finding a UC Davis doctor, please call 800-2-UCDAVIS (800-282-3284). As a surgeon who has previously had surgery, I have a unique perspective as both a doctor and a patient. Having been a patient, I understand the fear of the unknown, the anxiety for loved ones and the worries associated with injury or surgery on your livelihood. Having navigated the complexities of disability, social security and medical insurance coverage, I understand the need for timely reports/ letters to these agencies. And finally, I understand that my job as a surgeon is not solely to operate, it is to do the right operation, at the right time, for the right reasons and to bring you through surgery safely and effectively. Dr. Clifford Pereira is a Board Certified Plastic Surgeon and Hand Surgeon. 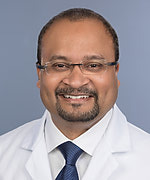 His clinical interests include brachial plexus and peripheral nerve surgery; wrist and hand injuries, rheumatoid hand, tetraplegia/ paraplegia hand recontructions, burn reconstruction, chest and abdominal wall reconstructions, tumors and microvascular reconstructive free tissue transfers. Dr. Pereira's lab research focuses on nerve injuries specifically nerve regeneration and the use of stem cells to improve tissue regeneration. He is also interested in the use of technology to improve hand surgery such as 3D printing. He is actively involved in medical student and resident education and is the Associate Program Director for the Plastic Surgery Residents at UC Davis. Lee JC, Pereira CT, Ren X, Huang W, Bischoff D, Weisgerber DW, Yamaguchi DT, Harley BA, Miller TA. Optimizing Collagen Scaffolds for Bone Engineering: Effects of Cross-linking and Mineral Content on Structural Contraction and Osteogenesis. J Craniofac Surg. 2015;(6):1992-6. Pereira CT, Boyd JB. Outcomes of complex gunshot wounds to the hand and wrist: a 10-year level I urban trauma center experience: reply. Ann Plast Surg. 2013;71(1):126. Pereira CT, Kruger EA, Sayer G, Kim J, Hu J, Miller TA, Rudkin GH. Mohs versus surgical excision in nonmelanoma skin cancers: does location matter? Ann Plast Surg. 2013;70(4):432-4. Pereira CT, Huang W, Sayer G, Jarrahy R, Rudkin G, Miller TA. Osteogenic Potential Of Polymer-Bound Bone Morphogenetic Protein-2 On MC3T3-E1 Two-Dimensional Cell Cultures. Plast Reconstr Surg. 2009 Dec;124(6):2199-200. Pereira CT, Herndon DN, Perez-Polo, Jeschke MG. Liposomal gene transfer of Keratinocyte Growth Factor improves wound healing by altering growth factor and collagen expression. J Surg Res. 2007;139(2): 222-228. Pereira CT, Barrow RE, Sterns A, Jeschke M, Hawkins H, Rosanblatt J, Kimbrough C, Lee J, Sanford A, Herndon DN. Age-dependent Differences in Survival After Severe Burns: A Unicentric Review of 1674 patients and 179 Autopsies over 15 years. J Am Coll Surg. 2006;202(23):536-548. Pereira C, Jeschke M, Herndon DN. Regarding ‘Use Of Oxandrolone In Ventilator Dependent Surgical Patients’. Ann Surg. 2005;241(6):1030-1. Pereira C, Murphy K, Herndon DN. Outcome Measures in Burns. Is Mortality Dead? Burns. 2004;30:761-771. Oliveira GV, Pereira C, Barrow L, Chinkes D, Herndon D. Does Gender Affect Mortality after Burns? Shock. 2004;21 (Supl): 73 (290). Pereira C, Edwards M. Parotid nodular fasciitis in a mobile phone user. J Laryngol Otol. 2000;114(11):886-7.